Thesis project for MFA in Integrated Design, from the University of Baltimore. 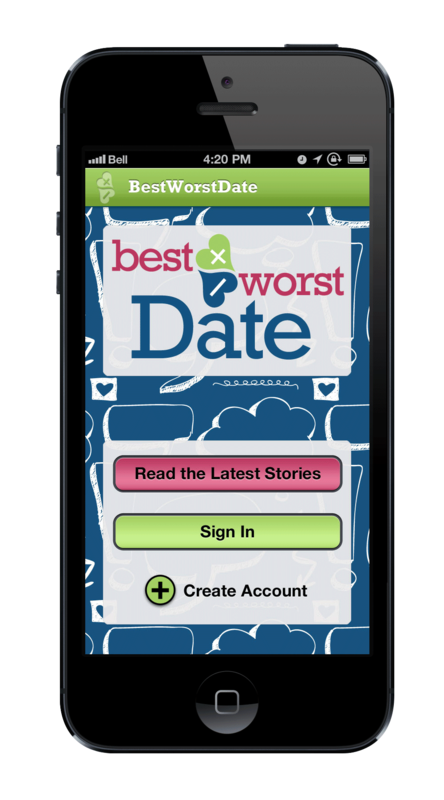 BestWorstDate is a community based storytelling website about dating. Users share the good, the bad, and the ugly from their dating experiences. 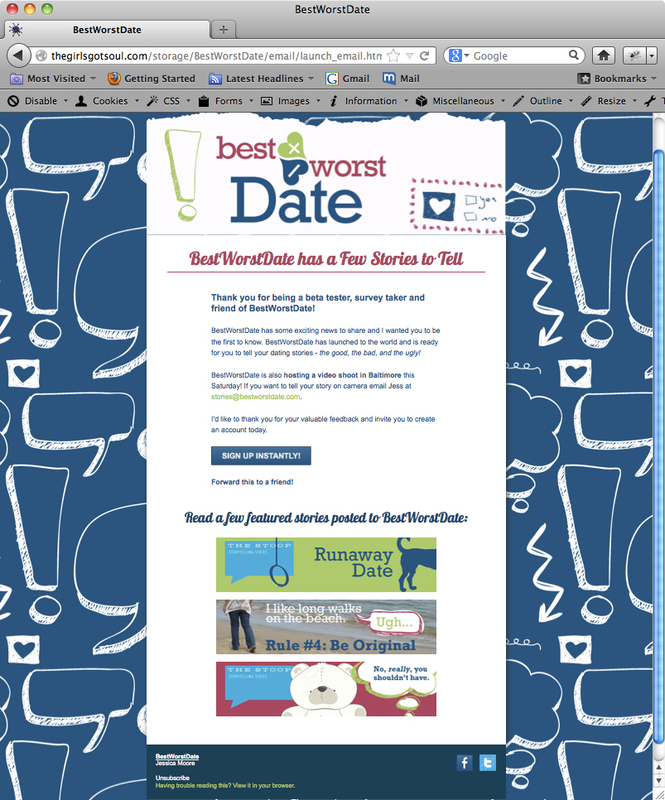 BestWorstDate is my thesis project for my MFA in Integrated Design from the Universiry of Baltimore. 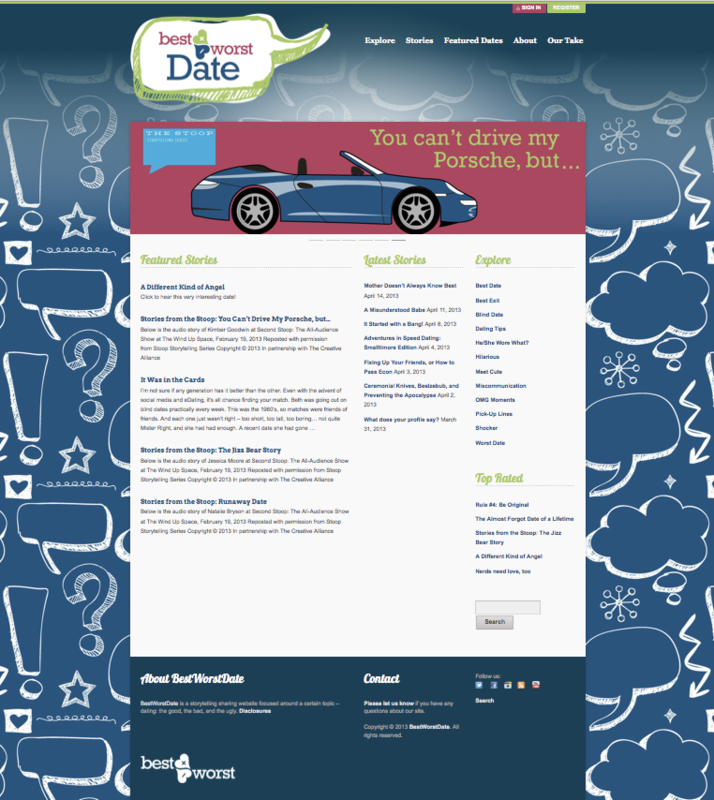 It is a community website for telling stories about dating experiences - the good, the bad, and the ugly! The site was launched at the beginning of March 2013, and since then I have been working on promotion, SEO, and advertising. I have designed a compainion app that has components such as updates on-the-go, "get me out of here" awkward date emergency help, and recent posts feed. I will be pursuing development in the next year. Join BestWorstDate on Twitter, YouTube and Facebook. 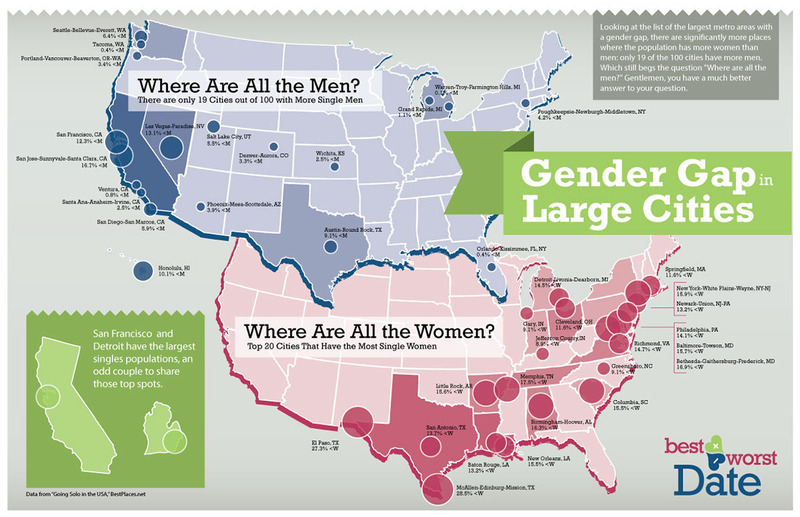 Infographic for blog post "Gender Gap in Large Cities" to answer the questions: Where are all the Men? and Where are all the Women? See the large infographic here. Home screen for mobile app.